Sinagar: National Conference (NC) Vice president and former chief minister Omar Abdullah on Saturday said that the party has emerged victorious from the Baramulla Lok Sabha constituency with a good majority. 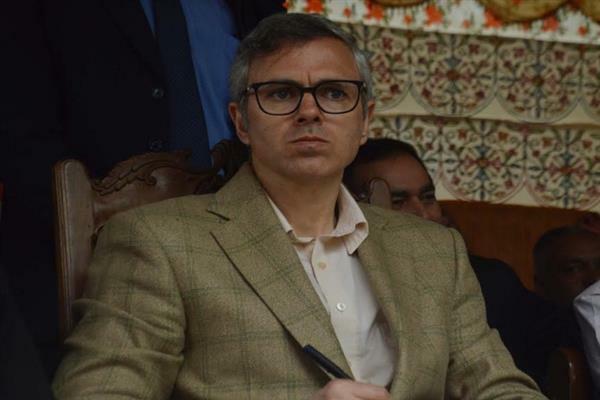 Talking to reporters in Khanabal area of South Kashmir’s Anantnag district, Omar said that the party is confident that it will emerge victorious on all the three Lok Sabha seats of Kashmir, adding, that it has won the Baramulla seat with a good majority. The former chief minister further promised people that the party soon after forming its government in Jammu and Kashmir will withdraw all the cases against the stone pelters and will also abolish Public Safety Act (PSA) here. “We have already made it clear during campaigning in north Kashmir that NC if voted to power will abolish PSA and will withdraw the cases against stone pelters,” he added. “We believe that assembly elections be held soon after the culmination of parliamentary polls and people will get a chance to elect their representatives. We if voted to power will fight against all the issues like highway ban, attack on special status and others,” Omar said.